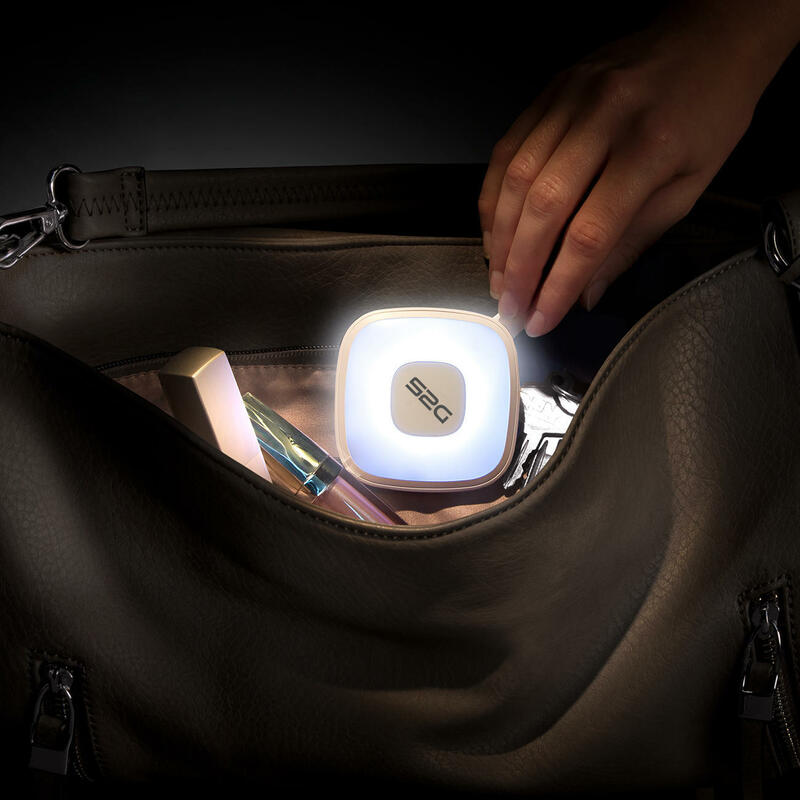 Ingenious combination: Sensor-controlled handbag light and 2,000mAh power bank. Recent studies have shown that, on average, women spend 76 days of their lives looking for objects in their - often bulging - handbags. An unnecessary waste of time and perpetually stressful. This handy light puts an end to annoying rummaging. The 8 power LEDs illuminate as soon as your hand approaches the sensor. With 6 lumens, they brighten even the darkest corners of your bag and go out automatically after 10 seconds. Additionally you always have a spare battery to hand. 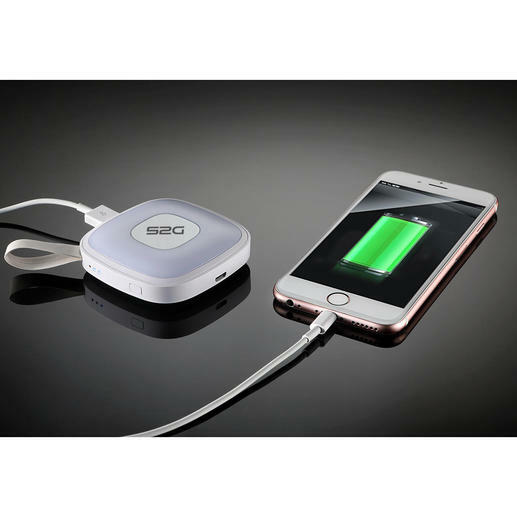 A charging capacity of 2,000mAh is sufficient for a full smartphone charge or to recharge your e-reader or tablet. Its own charging time is about 2.5 hours (USB cable included). Up to 25 hours of continuous light. The 3-stage LED display provides information regarding the remaining battery capacity. Elegant, flat design with practical loop to attach to the strap. White plastic housing. Size (D x W x H): 7 x 7 x 2cm (2.8″ x 2.8″ x 0.8″). Weight: Approx. 75g (2.6 oz).